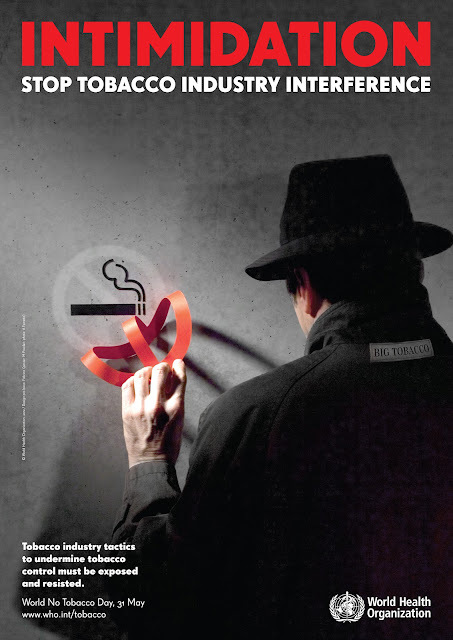 On 31st May each year WHO celebrates World No Tobacco Day, highlighting the health risks associated with tobacco use and advocating for effective policies to reduce consumption. Tobacco use is the second cause of death globally (after hypertension) and is currently responsible for killing one in 10 adults worldwide. The World Health Assembly created World No Tobacco Day in 1987 to draw global attention to the tobacco epidemic and its lethal effects. 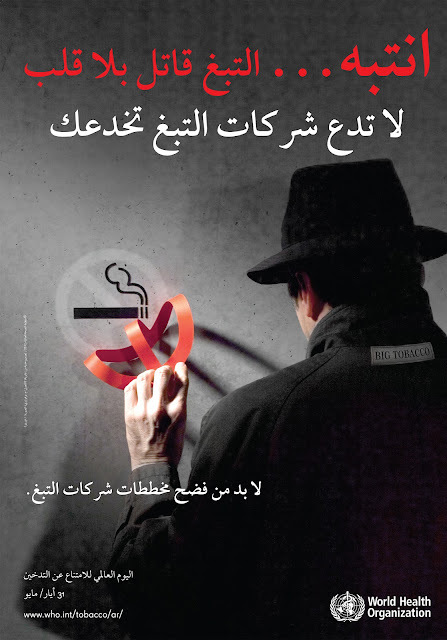 It provides an opportunity to highlight specific tobacco control messages and to promote adherence to the WHO Framework Convention on Tobacco Control. Tobacco use is the number one preventable epidemic that the health community faces. يعتبر الكثيرون أن البرفانات من مُسببات حساسية الصدر..
و حتى نتجنب الجدال العلمي الدقيق قدر الإمكان فإننا نود أن نقول أن الأصول العلمية لحساسية الصدر تميل إلى أن البرفانات لا تُسبب الحساسية..
و لكني اتفق معك أن البرفانات تزيد من حدة الموقف..
الزيوت الطبيعية النفاذة و المواد العطرية تزيد من مشكلة الحساسية..
إن لم يكن لك تاريخ مع الحساسية يمكنك أن تستخدم البرفانات عموماً و لكن بحذر..
و إن كنت تعاني من الأزمات الربوية فيجب أن لا تستخدم العطور الرخيصة..
و إن اضطررت لإستعمال البرفانات فلا مفر من الأنواع غالية الثمن و هادئة الرائحة و القطرة الضئيلة..
و حاول الإبتعاد عن النوعيات التي تعتمد على نثر الرذاذ..
و اقتراحي أن نقطة ضئيلة و سريعة خلف كل أذن.. تكفي جداً..
البرفانات لا تتسبب في حدوثها..
Do perfumes cause asthma, or does it only aggravate asthma if you have it from before? 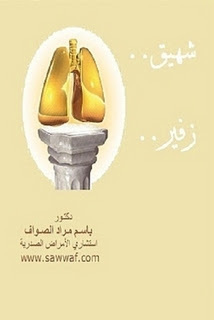 Perfume doesn't cause asthma but it does aggravate it and can cause an asthma attack especially if it's really strong. Smoking, weight gain, and genetics cause asthma. 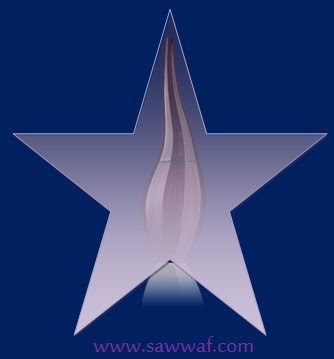 Many perfumes contain synthetic scents. Many people are allergic to these cheap scents. If you're using a lot of perfume, you are making yourself and other people sick. Use only scents made with essential oils. These are better tolerated. Use the least amount of scent necessary. a touch of scent is better than a cup full. لنكن صرحاء.. و نعترف بأنه يوجد تأثير واضح للسمنة على الجهاز التنفسي..
صحيح انه توجد أبحاث متناقضة و تتعارض فيما بينها على هذه الموضوع..
دراسات انطلقت في الماضي تفيد بأنه لا علاقة بين السمنة و بين حساسية الصدر و معدلها..
و أبحاث أحدث تؤكد أن السمنة مرض يؤدي إلى تدهور كفاءة الجهاز التنفسي..
و نحن مع هذه النوعية من الدراسات..
إجراء الاختبارات و باستخدام اختبار وظائف التنفس يساعد كثيرا في جلاء الموقف..
المريض ذو الوزن المعتدل يكون أكثر رحابة في كفاءة الجهاز التنفسي..
في حين يعاني المريض البدين من معاناة مستمرة في الجهاز التنفسي..
عليك أن تتعامل مع البدانة أنها مرض..
إن تعاملت مع السمنة فان رئتيك ستكون أكثر انتعاشاً و راحة.. Weight reduction is undoubtedly the optimal health strategy for obese patients with chronic respiratory disease. Approaches to weight loss and weight-loss maintenance have been summarized in various evidence-based reports. In general, therapy comprising diet, physical activity and medication promote a moderate degree of weight or fat loss in the short term. However, the results of studies with long-term follow-up are disappointing because most patients regain some or most of their excess weight. No specific recommendations exist about weight-loss strategies in the presence of respiratory disease. This is not a trivial issue, since patients with chronic respiratory disease are often inactive and therefore often do not comply with the recommendation to increase their levels of physical activity. Incorporating pulmonary rehabilitation and exercise training strategies may therefore help patients begin to exercise, but the efficacy of these approaches in achieving weight loss has not been documented. The impact of weight reduction on dyspnea, exercise tolerance and quality of life in obese or overweight patients with COPD has not been examined in the literature. In fact, most studies focus on undernourished patients with COPD. With asthma, weight loss has been shown to improve lung function and symptoms, independent of changes in airway hyper-responsiveness. One study that involved 58 obese women, 24 of whom had asthma, demonstrated that for every 10% relative loss of weight, FVC improved by 92 mL (p = 0.05) and the FEV1 improved by 73 mL (p = 0.04). A small randomized trial of the effects of a weight reduction program on obese patients with asthma also showed that an 11% reduction in body weight was associated with a 7.6% improvement in FEV1 compared with the control group (p = 0.02). There is no published evidence of whether therapeutic approaches to COPD or asthma (e.g., inhalation therapy, education and rehabilitation) should be modified in the presence of obesity. However, our experience suggests that the response of obese patients with asthma to pharmacotherapy is often suboptimal, a clinical impression supported by the association between obesity and poor asthma control. Additional studies are required to confirm whether obesity modulates the response to inhalation therapy. لا ينبغي التعامل بإستهتار مع نزلات البرد الصيفية التي قد تتطور مع الإهمال إلى الإصابة بفيروس الأنفلونزا..
اهمال الانفلونزا الصيفية قد يتطور الى التهاب رئوي مما يستدعي غالباً الدخول للمستشفى بل و قد يتطور الامر الى تلقي العلاج بالرعاية المركزة..
هل كل ذلك قد يحدث في فصل الصيف؟!.. فيروس الأنفلونزا موجود على مدار السنة، و ينتشر عن طريق الرذاذ المحمولة جواً مع ارتفاع حالات الإصابة في فصلي الخريف و الشتاء، و ذلك بالعطس والسعال، أو لمس العناصر التي كانت على اتصال مع هذه النوع من الافرازات..
على سبيل المثال، إذا كان شخص ما مصاب بأنفلونزا و عطس في يده ثم يلمس مقبض الباب، يحدث أن مقبض الباب يصير ناقلا لفيروس الأنفلونزا للأشخاص الذين يلمسون المقبض بعد ذلك..
لذلك.. يجب أن تغسل يديك دائماً بعد العطس وقبل لمس وجهك أو تناول الطعام و الشراب و ذلك لمنع هذا النوع من انتقال فيروسات الأنفلونزا وغيرها..
و أعراض الأنفلونزا هي الحمى والرعشة والصداع والسعال والتهاب الحلق وسيلان الأنف وآلام في العضلات، وآلام في البطن والغثيان في بعض الأحيان أو إسهال..
ويجب الحرص على شرب الكثير من السوائل، والنوم ما لا يقل عن 7-8 ساعات في الليلة، وتغطية الفم عند العطس أو السعال، وغسل اليدين. The influenza virus is present year-round, with a higher prevalence in the fall and winter. It is spread by airborne droplets, such as from sneezing, coughing, or touching items that have been in contact with those type of secretions. For example, if someone with the flu sneezes into his hand and then touches a doorknob, then the doorknob can become a vector for transmitting the flu virus to people who touch it. You should always wash your hands after sneezing and before touching your own face or food, to prevent this type of transmission of the flu and other viruses. The flu shot helps to protect against contracting influenza, but unfortunately it does not offer 100% protection, due to annual changes in the genetic makeup of the flu virus. Typical symptoms of influenza are fever, chills, headache, cough, sore throat, runny nose, muscle aches, and sometimes abdominal pain and nausea or diarrhea. Other respiratory viruses can cause similar symptoms, without actually being influenza. Whether or not you have influenza, or just another type of virus, you should be sure to drink plenty of fluids, sleep at least 7-8 hours per night, cover your mouth when you sneeze or cough, and wash your hands. اليوجا هي الرياضة التي تقوم و تهدف الى التأمل و جلب السكون و السكينة و السيطرة قدر الامكان على تأثير المعنويات السلبية على المقدرات الجسدية..
هل يمكن لليوجا أن تساهم في التحكم في الأزمات الربوية و الإقلال من جرعات العلاج الوقائي لحساسية الصدر..
بالتأكيد ممارسة اليوجا تساهم بالفعل و بايجابية في ذلك..
بالطبع ننصح و نؤكد على عدم ممارسة الرياضة عموما و من ضمنها اليوجا إلا بعد استشارة طبيبك المتخصص في الأمراض الصدرية..
ذلك لأنه ينبغي التدقيق في اختيار نوع التمارين التي تكون مفيدة في زيادة كفاءة عضلات ما بين الضلوع الصدرية و التمارين التي تساهم في زيادة كفاءة الجهاز التنفسي..
ثم قم بالزفير تماما عن طريق سحب عضلات البطن في نحو عمودك الفقري.. ثم قم باستنشاق بطئ و كامل و حتى يشعر بطنك بالاتساع..
قم بتكرار محاولة التنفس الكامل لبضع جولات، ثم قم بالاسترخاء..
ويمكن للتأمل أن يكون أداة قوية للتعامل مع مسببات الإجهاد الذي يمكن أن يؤدي إلى نوبات الربو محاولة التأمل الأساسية من خلال الجلوس في مكان هادئ في وضع مريح. تبدأ مع بضع دقائق من التنفس الكامل. اختيار شيء و قم بالتركيز عليه أثناء التأمل الخاص بك . يمكن أن يكون هذا الشئ عبارة عن، كلمة، شخص أو اي نقطة إيجابية في حياتك. غمض عينيك و ركز بشدة على نقطة محورية. ارسم نفسك مرة أخرى إلى اللحظة الحاضرة في كل مرة تجد نفسك تفكر في أشياء عشوائية. حاول ان تجعل جلسات التأمل قصير من 10 دقيقة في البداية، ثم الوصول إلى 20 دقيقة أو أكثر. اليوجا قد تخفف من شدة أو تواتر الأحداث والربو، ولكن ضروري التنسيق مع الطبيب المتخصص في الامراض الصدرية لإيجاد العلاج المناسب..
Yoga may be a valuable tool for helping you increase fitness and decrease asthma attacks. The branch of yoga that deals most with the physical body is Hatha yoga. Along with increasing flexibility, strength and balance, yoga may have therapeutic effects on your asthma. Speak with your physician before starting a yoga practice. Yoga includes meditation, breathing exercises and poses. The Mayo Clinic highlights these aspects of yoga as potential methods for dealing with asthma. By reducing stress, increasing fitness and building lung strength, the need for medication may decrease. Learning to do complete breath may help reduce asthma attacks. Sit upright in a chair or lie on your back on a comfortable, flat surface. Exhale fully by pulling your abdominal muscles in toward your spine. As you inhale, feel your belly expand and air move into your entire torso. Try this complete breath for a few rounds, and then relax. Alternate nostril helps release stress and may take your mind off your lungs. Press your ring finger over your left nostril as you inhale and exhale through your right nostril. Close your right nostril with your thumb as you inhale and exhale through your left nostril. Go back and forth for up to one minute, and then relax. Meditation can be a powerful tool to deal with stress triggers that can lead to asthma attacks. Try basic meditation by sitting in a quiet space in a comfortable position. Start with a few minutes of complete breath. Choose something to focus on during your meditation. This can be an object, word, person or positive phrase. Close your eyes and concentrate deeply on your focal point. Draw yourself back to the present moment each time you find yourself thinking about random things. Try short meditation sessions of 10 minutes at first, and then build up to 20 minutes or longer. Chest opening poses can strengthen your lungs and give you a sense of more space for your breath. "Yoga Journal" lists upward-facing dog as a therapeutic pose for asthma. Lie on your belly with your palms on the floor next to your chest. Push into your hands and straighten your arms, lifting your torso, thighs and knees off the floor. Press your heart forward. Hold for up to five breaths and then release. Keep your legs on the floor if the pose is too intense. You can do a standing forward bend anytime to reduce physical and mental tension. The pose also inverts your lungs, giving them a break from working upright. From a standing position, fold your chest toward your legs. Bend your knees so your hands can touch the floor, if necessary. Hold for up to one minute, and then roll up slowly, pushing into your feet and contracting leg muscles. Yoga may lessen the severity or frequency of asthma events, but working with a physician to find appropriate medication and treatment is your first priority. 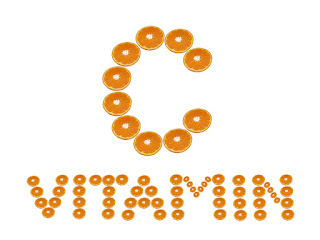 Learn what your triggers are, so you can decrease your asthma even more. Avoid yoga poses and techniques that increase your symptoms. العلاقة بين تأثير الكافيين و مرض حساسية الصدر كانت و ما تزال مثار لمناقشات و دراسات طبية واسعة النطاق..
و إن كانت الأبحاث الأقدم ترى انه لا يوجد علاقة واضحة..
إلا أن الدراسات الأحدث نسبياً اعتبرت أن للكافيين تأثير مشابه لتأثير الثيوفيللين في الأزمات الصدرية..
و الثيوفيللين كما هو معروف يمثل احد العائلات الدوائية التي يلجأ إليها مريض الربو الشعبي في التعامل مع حالته المرضية بإرشاد الطبيب المعالج..
لذلك إن كنت من هواة تناول الكافيين فإننا لا ننصحك بالتوقف عن هذه الهواية و لكن بالضرورة دون إفراط..
إن كنت مقبلاً على أداء اختبار وظائف التنفس عليك أن تكون حريصا على عدم تناول الكافيين قبل الاختبار حتى لا نطالع نتائج قد تكون نسبة عدم صحتها كبيرة نوعياً.. The relation of caffeine and asthma is likely one of the hotly debated subjects in medical science. Whereas most studies have concluded that the impact of caffeine just isn’t helpful for managing asthma signs, some newer researches have come to light which purport otherwise. The rationale some scientists have proposed that use of caffeine may help individuals with this respiratory condition is the previous holding some properties which are much like that of theophylline (a protracted-appearing bronchodilator, that relaxes and dilates the bronchial passageway thus, making it simpler to breathe). Theophylline is a drugs that’s prescribed for controlling and managing spasms of the airways; a typical symptom in folks with bronchial asthma and COPD (Continual Obstructive Pulmonary Disease). Additionally sure research have reported that caffeine has anti-inflammatory properties, which is yet one more point that will establish its advantages in opposition to asthma. Nonetheless, as I mentioned, the effect of caffeine on asthma is surrounded with mixed results. More on this has been provided in the following. As mentioned above, many latest studies have been able to exhibit the impact of caffeine on asthmatics as a bronchodilator. Certainly one of such studies was performed on about 8 grownup patients, who have been identified with bronchial asthma symptoms. The patients either obtained placebo or caffeine, and so long as eight hours after the drink, varied assessments have been performed on the patients. And when the outcomes got here in, it showed caffeine showed significant enhancements in managing the asthma symptoms, as compared to the placebo effect. However what must be considered here is, despite having so many efficient medicine towards asthma, why are scientists a lot focused on something reminiscent of caffeine. There are two most important reasons behind this. The first being that, if caffeine is actually helpful in relieving bronchial asthma flare-ups, then it could be a more sensible choice than medications. The second, and probably, a extra important cause lies in the fact that, consumption of caffeine could have an effect on the character of assessments or diagnosis performed to determine how dangerous someone’s bronchial asthma actually is within the present situation. What happens normally is, caffeine when taken in small quantities, is known to stimulate lung function thereby enhancing it for up to 4 hours. So because of this, if an individual consumes the same earlier than present process a test for lung function (which is essential in figuring out the stage of his asthma), he would show higher results. So if in reality the affected person’s situation requires a stronger asthma remedy, he might be prescribed with a weaker drug, given his improved lung perform within the test. So for sure, this may create important issues in managing the condition. The relation between caffeine and asthma is an ongoing study, in order that medical consultants will help people perceive if the former product really helps in bettering asthma signs, and if they need to or should keep away from taking caffeine before going for assessments to determine the function of their lungs. So it is always higher to seek the advice of his/her healthcare supplier before trying to treat asthma signs with caffeine. It should be suspected in all patients with cirrhosis or portal hypertension and an undiagnosed pleural effusion, regardless of the presence of ascites. Diagnostic thoracentesis should be performed to exclude alternative etiologies, especially infection. Computed tomography may be useful in assessing any underlying pleural or pulmonary disease. Patients with confirmed hepatic hydrothorax should be referred for liver transplantation if they are otherwise suitable candidates. We recommend that all patients be counseled on avoidance of alcohol and NSAIDs, a low sodium diet, and receive appropriate doses of diuretics We suggest a therapeutic thoracentesis be performed in patients who are severely symptomatic and in those who do not tolerate diuretics زWe suggest TIPS(transjagular intrahepatic portosystemic anastemosis) in patients who require repeated thoracentesis provided that they are selected carefully We generally suggest TIPS for patients with a Child-Pugh score less than 10 who are younger than 60 and who do not have hepatic encephalopathy. The MELD score can also be helpful for guiding patient selection. 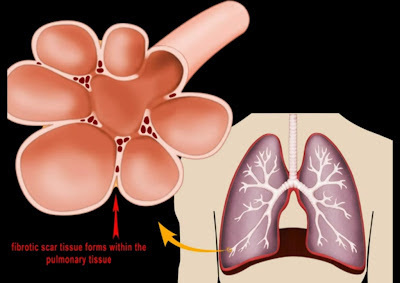 We suggest pleurodesis and/or repair of the diaphragm in patients who are not eligible for TIPS and in whom more conservative measures have been unsuccessful زWe recommend against placement of a chest tube since can be associated with severe complications. خلصت أبحاث طبية حديثة إلى أن إعطاء حديثي الولادة الذين يولدون لأمهات مدخنات، ويعانون من اعتلال في وظائف الرئة جرعات إضافية من فيتامين "C" يساعدهم بشكل كبير في تعزيز كفاءة الرئة. وكانت الأبحاث بجامعة "نيويورك" أجريت على ما يقرب من 159 طفلاً ولدوا لأمهات مدخنات، حيث تم قياس كفاءة الجهاز التنفسي والرئة لديهم وإعطاؤهم جرعات يومية من فيتامين "C" بلغت 500 ملليجرام في مقابل إعطاء البعض الآخر عقاراً غير فعال ليتم تتبعهم لنحو 22 أسبوعاً. وأشارت المتابعة إلى حدوث تحسن ملموس في وظائف الرئة بلغ 34% بين الأطفال الذين تناولوا جرعات يومية من فيتامين "C" بالمقارنة بالأطفال الذين تم إعطاؤهم عقاراً غير فعال. When a child has a sore throat, the first thing that most parents think of is strep throat. Although strep is a common childhood infection, it is important to keep in mind that there are a lot of other things that can cause your child to have a sore throat. This includes viral infections that can infect your child's throat, colds and allergies that can cause a sore throat secondary to post-nasal drip, and even reflux. الفيديو يصف كيفية ان الانسجة المتليفة مثل نبات الليف تنتشر خلال الانسجة الرئوية الهشة المحيطة بالاوعية الدموية و بالحويصلات الرئوية..
و بالطبع الانسجة المتليفة لا تؤدي دوراً وظيفياً مفيداً لذلك لا تستطيع الاجزاء المتليفة من الرئة ان تقوم بعمليات التبادل الدموي الغازي و تسليم الاكسيجين للاوعية الدموية الدقيقة و استقبال ثاني اكسيد الكربون.. و لا تستطيع حتى مجرد تلقي الهواء و اطلاقه..
و مع الوقت يزداد الجدار الخاص بالحويصلات الدقيقة من جهة الغلظة و السُمك و يحدث الانقباض في المساحات النسيجية الرئوية فتفقد الانسجة الرئوية مرونتها و قدرتها على تلقي الهواء و اطلاقه و يحدث الأسوأ من انكماش للرئة المصابة داخل التجويف الصدري..
هو الحالة المرضية التي تصيب الرئتين على هيئة ندوب أو تجريحات..
و تحدث تلك الحالة كنتيجة لفرط الحساسية و الالتهابات الرئوية المتكررة و تحدث كذلك نتيجة لاستخدام أنواع محددة من الأدوية.. و ايضاً يحدث تليف الرئتين بدون سبب واضح..
و بشكل عام تتضمن الأعراض ضيق في التنفس و السعال و تضاؤل القدرة على الممارسات الرياضية..
و يتضمن العلاج صيانة الأجزاء غير المتليفة باستخدام الكورتيزون لدوره المعروف في تثبيط نظام المناعة و تختلف ردود الفعل من حالة لأخرى..
و العلاج المباشر لتليف الرئتين يتم بطرق حديثة مثل العلاج بالإنزيمات و كذلك زراعة الرئة و هو أمر يسير ببطء شديد من جهة معايير النجاح..
و منم الضرووري خضوع المريض طبيا للمراقبة و المتبعة الطبية من الطبي المعالج سواء لمتابعة تطور الموقف و كذلك للحد من الاثار الجانبية للكورتيزون الواجب استخدامه..
ارتفاع درجة حرارة الطفل شيء مقلق دائماً للوالدين، فربما كلاهما عاش هذا السيناريو: يستيقظ أحدهما ليجد طفله واقفاً بجوار السرير ويبدو عليه الإرهاق واحمرار الوجه والعرق يبلل جسمه، فيضع يده على جبين الطفل ويجده حاراً، يوقظ أحدهما الآخر ليقول له: الطفل لديه حرارة، وهنا تبدأ معاناة الليل. * يسهل التعامل السليم مع ارتفاع الحرارة لانها ليست مرضاً بحد ذاته بل هي أحد الأعراض المرضية ولذا يكون الأصل دوماً هو البحث عن سبب الارتفاع ثم هل يحتاج هذا السبب إلى علاج أم لا وكيف يتم ذلك. الحالات التي تعالج الحرارة بحد ذاتها محدودة بمعنى أن يبذل الجهد في خفضها، أهمها هو أن تتجاوز الحرارة 38.9 درجة مئوية، أما إذا كانت أقل من هذا فلا تعالج إلا في حالتين، الأولى أن تبدو على الطفل علامات وأعراض تدل على تأثر الطفل أو أن يكون عمر الطفل أقل من ثلاثة أشهر. والحقيقة أن الأطباء اليوم ينظرون إلى ارتفاع حرارة الأطفال ما دون ثلاثة أشهر من العمر باهتمام بالغ إذا ما تجاوزت 38 درجة مئوية بقياس حرارة الشرج فينصحون الوالدين حينها بالاتصال بطبيب الأسرة أو أخذ الطفل إلى المستشفى حالاً. أما الأطفال الأكبر سناً من هذا فيجب أخذ حالتهم العامة في الحسبان بمعنى مراقبة تصرفاتهم حين إصابتهم بالحمى كي نعرف مدى الحاجة للعلاج أو مراجعة الطبيب دون جزع أو هلع، فحينما لا يكون الطفل في حالة خطيرة نجد أن لديه اهتماماً باللعب ويتناول الطعام والشراب ويبتسم حينما يلاعبه أحد ولون جلده طبيعي ويبدو طبيعياً إذا ما انخفضت درجة الحرارة بعد ذلك، وإن كان الحال هذا فيجب فقط ملاحظة الطفل ومراقبته. رغم أن قياس درجة الحرارة لوحده لا يعكس أمراً مهماً خلفه، فربما يؤدي التهاب بكتيري أو فيروسي عارض إلى رفع الحرارة إلى 40 درجة مئوية بينما التهاب بكتيري خطير أو ورم سرطاني لا يرفعان الحرارة بهذا القدر خصوصاً كلما كان عمر الطفل صغيراً. كما أن الحرارة تنخفض وترتفع أحياناً بشكل متعاقب ويصاحب الانخفاض ظهور الرعشة أو الرجفة التي هي عملية معقدة تعني ببسيط العبارة محاولة من قبل الجسم رفع درجة حرارته بتحريك العضلات لملاقاة الدرجة التي أمر بها «المحرار» في الدماغ والتي رأي فيها أنها مناسبة لمقاومة الجراثيم، فحينما لا يقوى الجسم عن المحافظة على الحرارة العالية يلجأ إلى آلية جديدة لرفع الحرارة عبر الرجفة أو الرعشة. وهذا يحصل في حالات معينة من الالتهابات لذا يجب على الوالدين ذكر هذا الأمر للطبيب لو حصل. و الطفل يعرق في محاولة منه لخفض حرارة جسمه ضمن عمليات أيضاً معقدة في آلية حرارة الجسم حال حصول التهاب إذْ أن تبخر الماء فوق سطح جلده يسحب معه جزءاً من الحرارة، وكذلك يفعل الطفل حينما يتنفس بسرعة. لكن تجب ملاحظة وجود صعوبة في التنفس لو حصلت أو استمر في التنفس بسرعة بعد انخفاض الحرارة وذكر هذا للطبيب. * مما يوهم الوالدين كثيراً والأمهات على وجه الخصوص أن ارتفاع الحرارة يؤدي إلى تلف خلايا الدماغ وهو غير صحيح ما لم تتجاوز الحرارة أرقاماً عالية خاصة 41.1 درجة مئوية. لذا فليس كل حرارة يجب على الأم خفضها أو حتى معالجتها طالما لا تؤثر على الطفل أو لم يكن لدى الطفل حالة التشنج مع ارتفاع الحرارة. وفي حال حصول هذا التأثر بالأعراض المتقدم ذكرها فيمكنك إعطاء الطفل ما يحتوى مادة البراسيتامول وذلك حسب وزنه وعمره وعلى الأم التأكد من مقدار الجرعة بالاتصال بالطبيب ولا تعتمد توجيهات بائع الأدوية في الصيدلية. 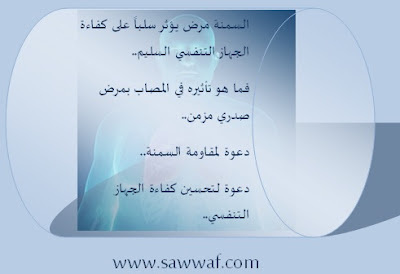 ولا يجب استخدام الأسبرين مطلقاً لمن هم دون سن الثانية عشرة من العمر، وتذكر أن الأدوية الخافضة للحرارة ذات مفعول مؤقت يزول بعد ساعات ليعود الأمر ربما إلى ما كان عليه. المهم هو استحمام الطفل في ماء متوسط الحرارة أي غير بارد لأن الماء البارد يجعل الطفل يرتجف وبالتالي ترتفع حرارته أكثر!، والحرص على تلبيس الطفل ملابس خفيفة وتغطيته ببطانية أو إحرام خفيف كي يتمكن الجسم من التخلص من الحرارة، والمحافظة على درجة حرارة معتدلة للغرفة والحرص علي تزويده بالسوائل أو قطع من الثلج والمأكولات الباردة كالجلي وتجنب ما يحتوي كافيين كالكولا أو الشاي، ولا تغصبه على نوع من الطعام أو الشراب، فالمهم هو هدوؤه وراحته، كما لا ترسله إلى المدرسة حتى تزول عنه الحرارة. 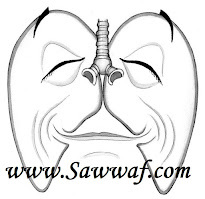 طلب مساعدة الطبيب يعتمد على حالة الطفل العامة ومقدار درجة حرارته بالإضافة إلى سنه، وبصفة عامة يجب الذهاب بالطفل إلى الطبيب إن كان دون سن ثلاثة أشهر وحرارته تجاوزت 38 درجة مئوية، أو الطفل الأكبر سناً حينما تتجاوز حرارته 40 درجة مئوية. لكن لو كانت الحرارة أقل والطفل تبدو عليه آثار أو أعراض المرض كالقيء المتكرر أو الإسهال أو الجفاف أو شكا من آلام في الحلق أو أثناء البلع أو البطن أو الأذن أو يبدو عليه الخمول ويرفض تناول الطعام أو الشراب، أو لو استمرت الحمى لدى الطفل ما دون الثانية من العمر أكثر من 24 ساعة أو 72 ساعة لمن أكبر منه أو تكررت الحرارة في أيام معدودة. ويلزم الذهاب إلى قسم الإسعاف في المستشفى مباشرة متى ما كان الطفل يبكي بشكل متواصل لساعات أو أنه متوتر جداً أو خامل بشكل كبير أو ظهر طفح أحمر على جلده أو بدت شفتاه أو أظافره زرقاء أو كان هناك صعوبة في تحريك عنقه أو في التنفس أو أصيب بنوبة تشنج. التهاب جرثومي سواء من البكتيريا أو الفيروسات فحينها تكون الحرارة إحدى الوسائل التي يحاول الجسم بها مقاومة الجراثيم والقضاء عليها. اكتساب الجسم حرارة عالية سواء بشكل مباشر كالخروج إلى الجو الحار أو البقاء في غرفة حارة ـ أخذ جرعة من أحد أنواع التطعيم . ويجب ملاحظة أن التسنين أو ظهور الأسنان هي عملية حيوية يستنفر فيها الجسم جهده لإتمامها وترتفع درجة الحرارة حينها لدى بعض الأطفال لكن في الغالب لا يتجاوز مقدارها أعلى حد للمعدل الطبيعي أي 37.7 درجة مئوية. * يعلم أحد الوالدين حرارة الطفل عبر لمسة حانية أو قبلة على جبينه لكنه قياس تقريبي يجب على إثره التأكد بشكل أدق عبر القياس المباشر بميزان الحرارة. وتشخيص ارتفاع الحرارة يتم إذا ما كانت درجة حرارة الشرج تتجاوز 38 درجة مئوية، أو 37.7 للفم وتحت اللسان تحديداً، أو 37.2 للحرارة تحت الإبط، فكل مكان لقياس الحرارة له درجة مختلفة فلا يقال لما هو طبيعي في الفم انه طبيعي للإبط. - ميزان الحرارة الرقمي أو الإلكتروني: وهي أجهزة جيدة وتعطي قراءة سريعة ودقيقة ومتوفرة بأسعار معقولة، وتستخدم لقياس حرارة الفم أو الإبط أو الشرج. - ميزان حرارة الأذن الرقمي أو الإلكتروني: ويقيس حرارة طبلة الأذن بدقة وسرعة وسهولة، وهو مناسب للأطفال الكبار، لكن رابطة طب الأطفال الأميركية لا تنصح باستخدامه مطلقاً لصغار الأطفال وخاصة من هم دون ثلاثة أشهر من العمر. - الشريط البلاستيكي اللاصق: وهو ما يلصق بالجبين ولا ينصح به مطلقاً للأطفال في أي عمر. - ميزان الحرارة على هيئة المصاصة: ويتطلب البقاء في الفم وقتاً طويلاً لذا يصعب الاعتماد عليه. - ميزان الحرارة الزئبقي: كان شيئاً يعتمد عليه ويستخدم في السابق لأنه الوحيد المتوفر، لكن اليوم لا ينصح به أسوة بكل الأجهزة الطبية المحتوية على الزئبق لأنه ملوث بيئي، كما يجب التخلص من كل ما يحتوي على الزئبق في المنزل. Rheumatic fever is a serious condition which may affect the joints and several body parts, such as the brain, nervous system and the skin. It is usually the direct consequence of an infection of the group A streptococcus, that causes strep A throat infection. 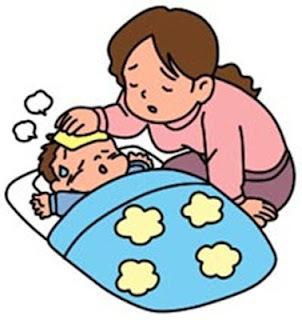 This type of fever is very common in children within the age group five to fifteen. Rheumatic fever can sometimes cause permanent damage to parts of the body. This fever has become one of the leading causes of death due to cardiovascular conditions in the recent years. 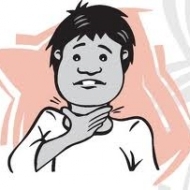 It is very important to know that proper treatment of strep throat can prevent rheumatic fever. Although not all cases of strep throat and followed by this fever, it is essential to treat it. Usually it is the joint pain and fever that are the first symptoms to occur. The joints in the ankles, knees, elbows and wrists are often red, swollen and painful. The intensity of the pain may vary from mild to excruciating. Fortunately, the joint pain is not permanent, and will decrease after treatment. Patients often feel their heart beating fast and some may even experience pain in the chest. Often this symptom may go unnoticed, and the patient can end up with permanent damage to the heart. The severity of the heart disease will vary according to the heart inflammation and how fast it has been treated. In such cases a complete antibiotic treatment of the streptococcal throat infection, is essential. Rheumatic fever can cause complications if not treated on time such as heart failure or permanent damage to the heart valves. Other complications include surgery in case the patient does not respond to the medication on time. The fact that untreated strep throat can ultimately lead to rheumatic fever, was not realized until the 19th century. Although this fever is not common in the United States, there are several countries where this condition is prevalent. 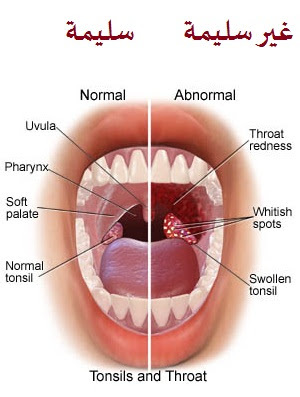 By itself rheumatic fever is not an infection, but when strep throat is left untreated it can become deadly. After a person is infected with a strep infection, the body automatically releases antibodies to fight the infection. In rare cases, these antibodies will end up attacking the body's tissues or muscles instead of the infection. This leads to a severe condition which may result in death if not treated in time. With the help of antibiotics rheumatic fever is no longer a threat to developed countries, and can be cured. This disease is a threat mainly in developing countries where the living conditions are extremely poor. This disease is very common in cold or damp weather as well. It is crucial to go to the doctor immediately and get yourself treated in such a case. Even though most people with rheumatic fever recover fully, there are chances that the heart is permanently damaged.